The Battle Royale trend has been in full swing for a year now and it doesn’t seem to be slowing down anytime soon. Despite last year’s onslaught of new titles joining the fray, Fortnite remained the most profitable and its player base surpassed the 200 million mark. Here in 2019, it’s barely the second week of February and we’ve seen a handful of games continue to populate the genre, but one new contender, in particular, stands out as a potential threat to Epic’s bottom line: Respawn’s Apex Legends. 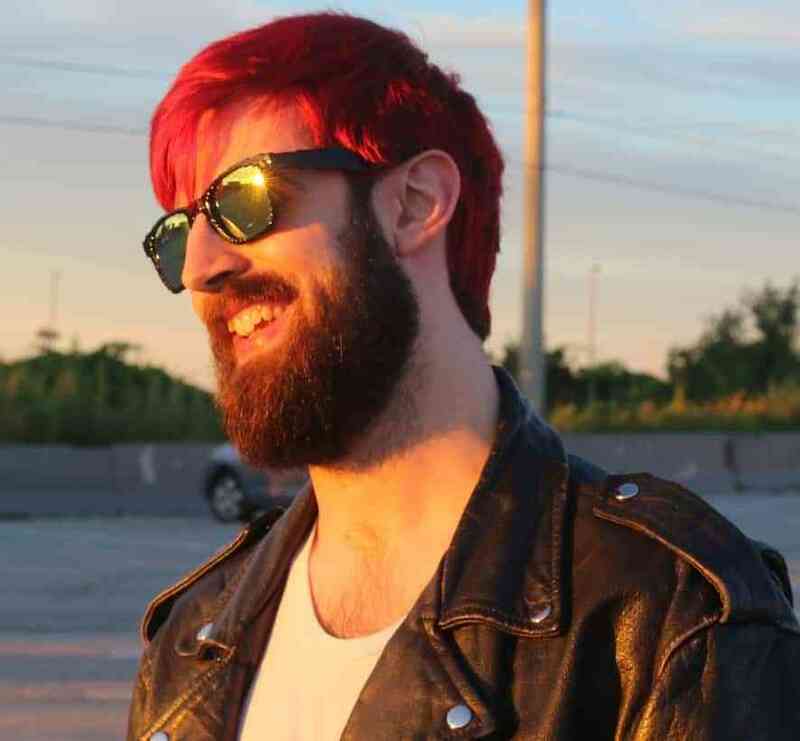 Separating itself from the competition with a strong, diverse cast of characters and roles for players to take up in teams of three against 57 other players, the “surprise” announcement and launch earlier this week has been met with resounding success so far, and Respawn has a strong support plan set up to keep the game’s momentum going. But with innumerable options and counting, should you choose Apex Legends as your Battle Royale roost? Well, I mean, you can do what you want, but here’s why I’m gonna have my feet firmly planted in King’s Canyon for the next few months. At first glance, Apex Legends looks like a mix between Overwatch and Titanfall’s more traditional multiplayer modes – and to be honest, that’s a pretty fair assessment in a lot of ways. 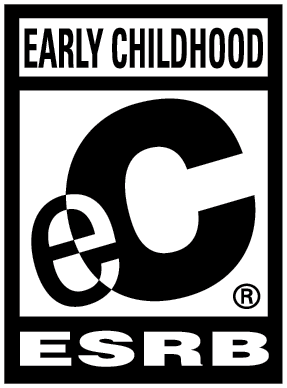 For the most part, it follows the same land-loot-shoot gameplay loop and formula that the genre is defined by, but it takes Overwatch’s focus on charming characters with unique, synergistic abilities in a team-based context and blends it with Titanfall’s sci-fi militaristic atmosphere, as well as the tight gunplay and controls that Respawn is known for. There’s already an enormous catalog of unlockable weapons, character skins, and banner decorations for players to start accumulating, as the developer clearly recognizes the role that extensive personalization plays in Fortnite’s success. That being said, the game doesn’t lean on the inherited strengths of its influencers to define its identity, employing useful and creative new mechanics to create an experience fresh enough to keep players interested and invested from match to match. 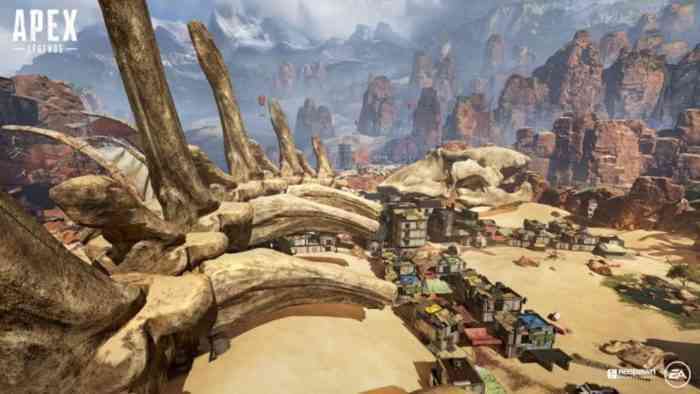 For starters, when you first boot up Apex Legends, you’ll be subject to the game’s tutorial which explains how to use the game’s intuitive communications system. It’s a miracle for those who don’t have a mic or prefer to play without one – using a single button, players can tag and call out loot, enemies, and other points of interest on the map using their in-game character’s voice and a marker that pops up on your teammates’ map and HUD. There’s even a prompt to thank a teammate when they drop or ping useful loot for you. It’s extremely effective and in the matches I’ve played so far, players seem eager to get the hang of it. It’s easily the single most important and impressive mechanic in the entire game, and I can’t wait for other games to rip it off in their own ways. The tutorial will also teach you the rest of the game’s familiar mechanics, including how to use your character’s unique ability, though it only allows you to play as Lifeline – some of the other characters specials can be a bit trickier, like setting up Pathfinder’s zip line. After finishing the tutorial, you can start jumping into matches where you’ll be placed into a team with two other players and, as is tradition, fight to be the last squad standing. Apex Legends incentivizes players to team up with friends with a +5% bonus to “Survival Time” experience, and each match starts with the ritual of choosing your character one at a time out of the available six (eight if you bought Caustic and Mirage, but more about that in a moment). You’ll have a small window of time to make your decision, and you can see who your teammates are considering choosing to help inform your decision, but once your time is up, your choice is locked in and you won’t be able to change characters mid-match as you can in Overwatch. You’ll be given a quick look at your squad member’s stats before being introduced to that match’s champion bounty – someone who was “top-ranked” in their last match, and grants whoever takes them out an extra 500 experience. You’ll see their banners plastered all over the map until they’re taken out, when they will be replaced with a new kill leader, which is boisterously proclaimed by a Halo-esque announcer. It accentuates the intimidating feeling of being hunted and gives players a literal fifteen minutes of fame to be glorified and feared for their skill. Once you’re in the dropship, a member of your team will be designated Jumpmaster, who decides where and when your team jumps. If you’re assigned Jumpmaster, you can relinquish the responsibility to one of your teammates, and once you jump, you can choose to split from the squad and make your way to the ground on your own accord. Wherever you land, and wherever you go, the game will tell you the name of the area you’ve entered and what tier of loot it contains, so you know whether it’s worth sticking around or moving on to the next locale. If you’re unhappy with where you land or just want to get around a bit faster, there are redeployment balloons around the island that players can get some air from in the quest to find more loot. King’s Canyon is host to some familiar environments including industrial complexes, dilapidated favelas, and a unique desert area home to a kaiju skeleton called “Skull Town,” right next to the “Thunderdome.” There are definitely some parts where areas look indistinguishable from others, so here’s hoping future updates add a bit more stylistic variety to the island. Apex Legends has a wide array of loot to scoop up, though some of the weapons are a little too similar to distinguish from one another at first glance. There are multiple versions of each different weapon type, and it definitely feels excessive. It’s a pretty unattractive design choice that a lot of games stumble into, and it’s hard to believe players are interested in learning the different names a game has for 5 separate versions of what is effectively the same weapon, and the wordy pop up that hovers over an item as you consider it doesn’t help. In a time-sensitive game type where you’re being hunted, the last thing players want is to be confused by their weapon and to micromanage their inventory. On top of that, there’s a loot limit that ammo counts towards, so you may find yourself having to make the choice between bullets and a shiny new weapon attachment, making it a limit that doesn’t feel justified in its presence as it doesn’t affect strategy, instead just restricting and frustrating the player. Additionally, the game’s HUD is pretty busy – there’s information in just about every corner of the screen and it’s all pretty pertinent, but I would love the option to resize or customize it to my preference. Speaking of preferences, let’s talk about the game’s extensive personalization options. The most unexpectedly interesting object of customization is player banners. Aside from the ludicrous amount of options available for personalizing them, there’s a sense of importance to player banners in Apex Legends as they’re presented on your coffin when you fall in battle, where teammates can gather it to deliver to a respawn beacon and get you back in the game, as well as the aforementioned map-wide display of them should you become the kill leader in a match. Being a multiplayer game in 2019, everything is unlocked via loot boxes or a crafting currency gained from loot boxes, or the game’s premium currency that you can use to buy more loot boxes. By the way, this game has loot boxes, but at least it has the decency to show you the probabilities for each level of item rarity. Though, there are a couple of things that can’t be unlocked via loot boxes, which brings us to our next problem. 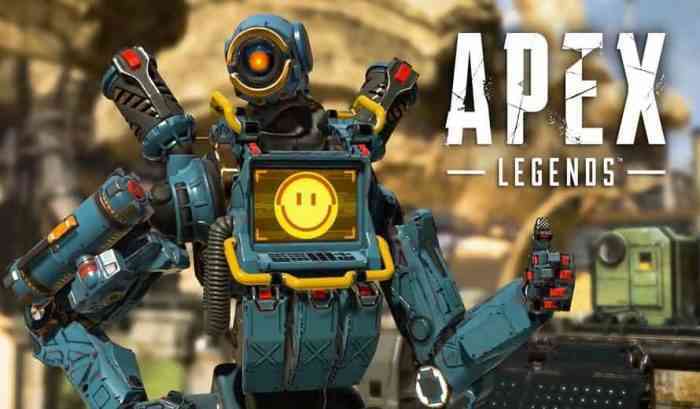 Apex Legends’ Mirage and Caustic characters need to be unlocked before you can play as them, and they can only be unlocked via the game’s premium currency, Apex Coins, or Legend Tokens, which you accrue from each match you play. They’re not necessary, and character abilities in general may not feel like enough of a leg up on the competition for it to be a full-blown pay-to-win problem, but something about it still feels a little shifty. The real issue with this aspect is the 3 different currencies, which, again, is an unattractive design choice present in a lot of games. 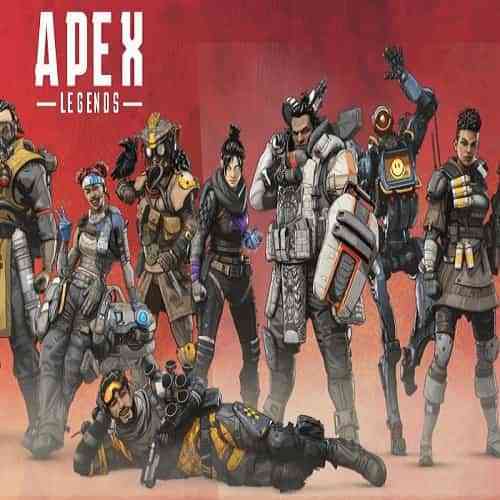 Overall, I’ve found more to enjoy in Apex Legends than to gripe about, particularly in the game’s colorful cast of characters – my personal favorites so far being Pathfinder and Mirage, thanks to the Overwatch-esque characterization through simple dialogue lines. Respawning works well if you have the patience for it, and if you don’t, it’s okay to leave once you’re down – you’ll still be granted experience for what you did accomplish. The ever-enclosing Ring isn’t too aggressive, which is great, because it’s nice to feel like you actually still have a chance if you get stuck in the danger zone. Controls are nice and fluid, as to be expected from the team at Respawn, and there’s the option to remap buttons at your convenience, should you feel the need to do so. The only thing left for Apex Legends to do right now is to fill the space between skirmishes – something that will likely come with the Battle Pass dropping next month. The game’s biggest problem right now is its infancy, but I have a feeling that it’ll maintain a dedicated player base and remain a hot title after a few content updates. If you’re a fan of the Battle Royale genre or first-person shooters in general, Apex Legends is at least worth giving a shot, and even if you’re not a fan of those things, try it out anyways and see if you fall in love with any of the game’s charismatic characters. Apex Legends Season 1 Battle Pass: To Buy or Not to Buy?